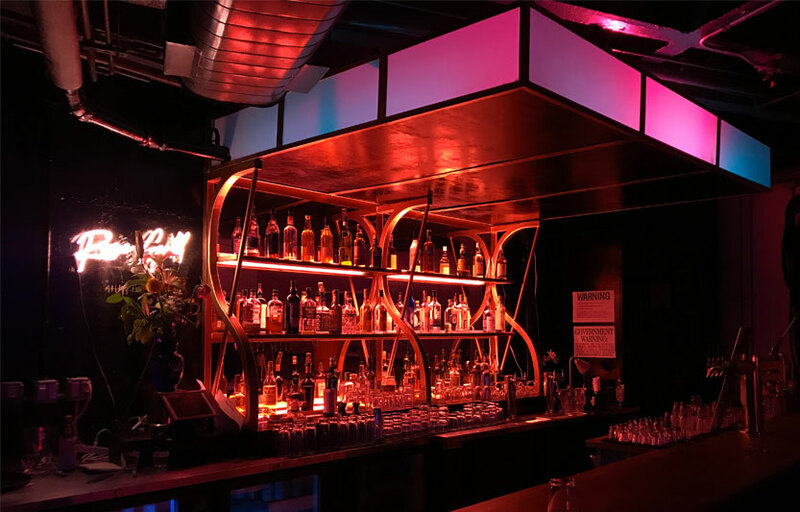 At the very end of the warehouse-lined triangle of streets off Flushing Avenue is Rose Gold, a newly-blossomed underground cocktail lounge. A custom drinks list provides twists on classics such as a smooth and heavy La Fluer Old Fashioned, a lovingly-crafted Rosemary Rickey tasting like a breezy Brooklyn summer day, and a candy-like Navy Strength. 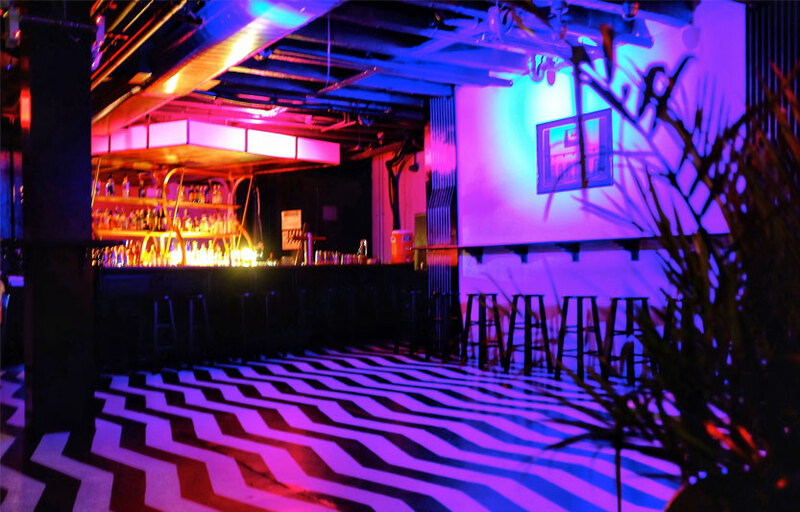 Dynamic black-and-white stripes, flashes of neon and other striking visuals go with the DJ sets at this basement dance club below Bushwick’s Cape House. Rose Gold is located right under the Cape House, so you can grab dinner before heading downstairs to dance. Expect a young, lively crowd there for the music. Look out for original artwork by local artists on the walls. Where is Rose Gold located? Rose Gold is located at 96 Morgan Ave.
How much is cover charge at Rose Gold? Rose Gold charges a cover at the doorman’s discretion. How long will I have to wait at Rose Gold? When is Rose Gold open? Rose Gold is open on Tuesdays through Saturdays. What are the best nights to go to Rose Gold? Weekends are generally the best. What is the dress code at Rose Gold? How much do drinks cost at Rose Gold? What kind of music do they play at Rose Gold? Rose Gold features mostly dance music and EDM. Where can I find an list of upcoming events / DJs at Rose Gold? You can download the Discotech app to see upcoming events, and book tables for Rose Gold.